The top five trucking traffic violations in California are speeding, e-log violations, overweight or overwide trucks, wrong routes, and bad or missing equipment. When you get a ticket, you need to challenge it with a traffic ticket attorney. Even lawyers from other areas of law hire traffic lawyers to represent them. Of course, there’s the adage, “A lawyer who represents himself has a fool for a client,” but it simply makes sense to hire a traffic law professional to represent you on a traffic ticket. You wouldn’t hire an electrician to fix a pipe, would you? The most important thing every trucker needs to know about trucking traffic violations is these cannot be “pleaded down.” It used to be that a traffic attorney could take a trucker’s ticket to the DA or traffic commissioner and get it reduced to a non-moving violation. The trucker would still have to pay the fine, but it would get recorded as a non-moving violation so that their employer didn’t get notified. There were no points, so they weren’t fired. Now, federal guidelines prohibit these pleas; however, traffic court judges can, and often do, change the citation or dismiss trucking traffic violations when presented adequately by a traffic ticket defense attorney. Commercial driver’s license (CDL) holders who receive a speeding ticket need to know how those trucking traffic violations affect their and their carrier’s Compliance, Safety, and Accountability (CSA) scores. The Federal Motor Carrier Safety Administration (FMCSA) manages the Safety Measurement System (SMS) which compiles the CSA points and converts those into a percentile that could lead to an increased number of roadside inspections for trucks using their DOT number. Other interventions are also possible by the FMCSA, such as a full-blown inspection of policies and procedures at the carrier’s headquarters. Ten severity points for 15 mph over the speed limit or any conviction for speeding in a construction area with workers present and warning signs posted. These severity points can get multiplied three times with a similar trucking traffic violation in that BASIC category within the previous six months, or times two when there is a similar conviction on file within six months to a year. Beyond twelve months are face value. Those points will stay on a trucker’s Pre-employment Screening Program (PSP) for three years and on the carrier’s DOT file for two years. The third level can be particularly devastating for repeat offenders. This violation is “excessive speeding” or a serious violation according to the FMCSA. Convictions of 15 mph over the speed limit twice within three years will result in a 60-day driving disqualification by the FMCSA. A third violation of 15 mph over within the same three-year period will lead to a 120-day suspension. 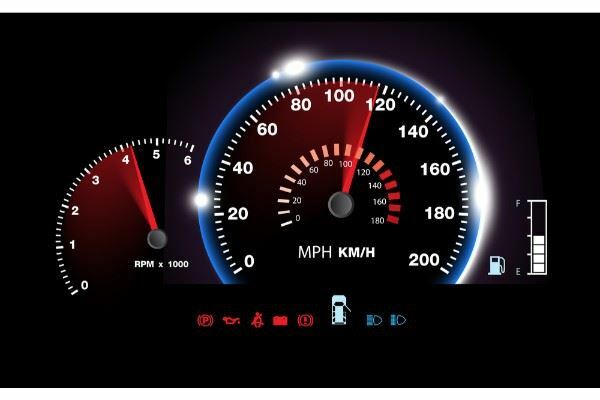 Don’t allow even one speeding conviction to hit your PSP without a court challenge. Consult with a traffic attorney about your trucking traffic violation. Most e-log violations are Hours of Service (HOS) violations. Not necessarily because you drove longer than the law allows, but primarily because the FMCSA puts Form and Manner violations in the same BASIC category as other HOS violations. Form and Manner violations are one CSA severity point violation, usually for not updating your e-log when you get a new co-driver, not updating the miles-driven at a change of status or Record of Duty Status (RODS) changes such as your mandatory 30-minute break or the end of the duty day. Form and Manner errors such as not changing the co-driver’s name are one CSA severity point. However, not updating status changes could be a five-point violation, depending on the inspector. Many truckers incur these trucking traffic violations simply because they wait to update their e-log at the end of the day or trip and get pulled into a roadside inspection. The best method to avoid these violations is to update your e-logs consistently when changes occur. CA Vehicle Code (CVC) 35551, Axle Limits forbids the operation of vehicles with more than the maximum weight on any wheel, axle, or set of axles without a permit. What’s more, CA makes it a misdemeanor violation to be overweight by more than 4,500 pounds. Overweight truck fines start small, for 1-1000 pounds it might get the driver or carrier a base fine of $20. With state and county assessments, many fines for overweight trucks turn into $1.00 per pound overweight. It is not uncommon for trucks to be overweight by 5,000-10,000 pounds. Likewise, operating a truck overweight by more than 4,500 pounds without a permit could get the driver summary probation. Always ensure the vehicle is within weight and width limits before moving the vehicle from the yard. Get permits for every state you will pass through from fleet management, no matter who loaded the vehicle. In CA, when driving a vehicle with hazardous cargo, especially explosives, you must use the route prescribed by the CHP and have a map of the route containing authorized break and stopping areas. Failure to stick to the route or stopping in an unauthorized area could lead to a misdemeanor trucking traffic violation. These penalties and fines do not preclude a civil penalty by the FMCSA of $78,376 per violation and up to $182,877 if death or serious injury occurs. Anyone charged with violating the FMCSR or CVC for transporting explosives or hazardous material needs to consult with a criminal defense lawyer with traffic law experience before making a statement to any law enforcement or court official. “You have the right to remain silent.” Use it! This is a criminal offense. These violations are particularly obvious for flatbed truckers. Problems with tie-downs and unsecured loads are the most widespread trucking traffic violation for flatbed truckers. When a flatbed trucker has a tarp or tiedown flapping in the breeze, it can be very obvious to a law enforcement officer (LEO) passing by the truck or stopped at a rest area. Likewise, inspectors at the “chicken coop” who see loose tie-downs will quickly enhance their inspection. Missing or broken fire extinguishers and warning triangles can get you a trucking traffic violation, even though the carrier should ensure these are on the truck before assigning it. However, the LEO will issue the ticket to you because it is your responsibility to ensure you have all the right equipment, tie-downs, and permits before you hit the road. Call Bigger & Harman for a free consultation, (661) 349-9300. Se habla Español (661) 349-9755. We are CDL ticket lawyers. With more than a decade of experience handling nothing but traffic violations, we have seen many violations. Likewise, we have used our knowledge and experience to get dismissals and reduced no-point violations for CDL holders across Central Valley. Hanford Traffic Court is not one of our favorite courts, but we have a reputation for success in this tough courtroom. We have an excellent system of fighting tickets in this courtroom where other attorneys fold. To get the best traffic ticket attorney near Hanford, give us a call. Although it is a violation of federal guidelines and CA law to negotiate a “plea” with other court officials, requests for dismissal and reduced charges can be addressed to the judge directly. Many misdemeanor charges will get examined by a judge who realizes these are “wobbler” offenses that should not end in the driver getting a criminal record, which will, in all likelihood, end their career.